It feels like only yesterday when Roman Reigns announced that leukemia was back that forced him to relinquish the WWE Universal Title. 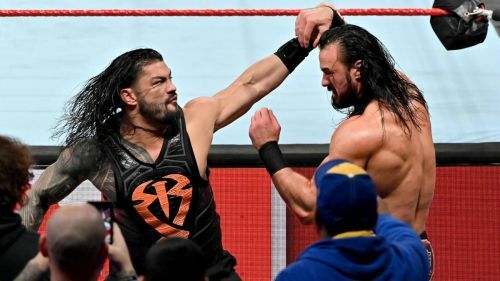 However, not only is Roman Reigns back, he has also taken part in a singles match at WrestleMania against Drew McIntyre, which the Big Dog won. He didn't appear on on TV on the Raw After Mania episode, however, he did make an appearance to bid Dean Ambrose a farewell after the show went off the air. With the Superstar Shake-up taking place in a few hours on SmackDown Live, there are a few ways in which WWE could head with regards to Reigns. Should they keep him on RAW or should they move him to SmackDown? 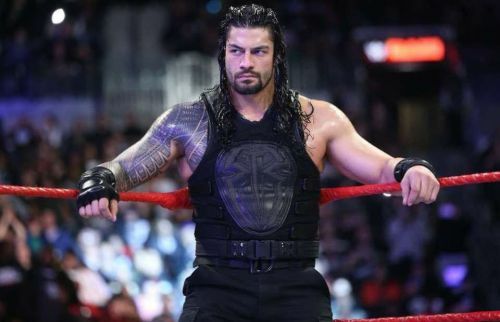 Here are 5 ways WWE could proceed with the Big Dog. This is the least likely option as we all know that a match at WrestleMania is basically the full-stop to feuds. However, I get the feeling that we didn’t get to see enough in this regard. They had a match at Fastlane but it was a 3-on-3 contest between The Shield and the team of Baron Corbin, Bobby Lashley, and Drew McIntyre. The feud really gathered steam after McIntyre assaulted the Big Dog on the episode of RAW following Fastlane. Two more assaults on RAW later and the pair had their first official singles match at WrestleMania, which Reigns won cleanly. And then tonight on RAW, Reigns faced the team of Lashley, Corbin and McIntyre once again as he was paired with Seth Rollins and AJ Styles. Once again though, it wasn't a singles encounter. So there is a feeling that the feud didn’t last as long as it should have, given that they had only one match, and also counting the fact that McIntyre brought Reigns’ family into the angle in the ensuing war of words. However, there is almost no chance for this feud to continue, and I hope it doesn't because McIntyre is set for a push into the Universal title picture.